Compact SUVs sound a little like a contradiction don’t they? No SUV is compact, and yet, when they’re built for off-roading adventure, compact is actually an asset. That’s why Jeep continues to build, design, and produce compact SUVs like the 2017 Jeep Cherokee. 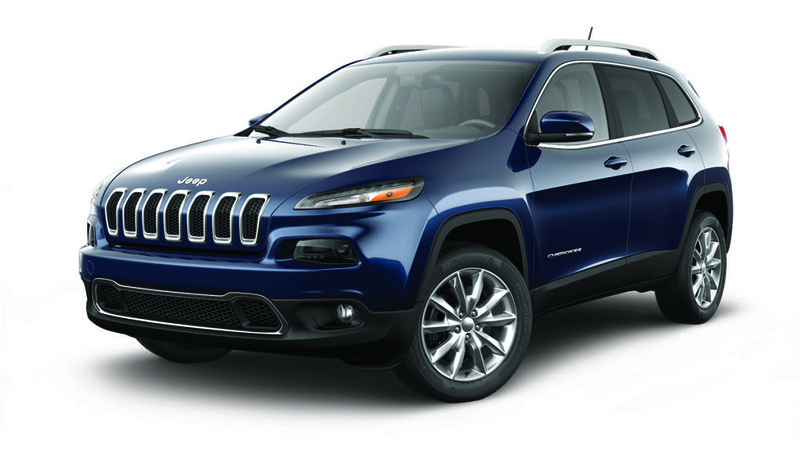 The Jeep Cherokee is an all-inclusive lineup from basic transportation to rugged off-road splendor. There are a number of trims running the line, some with a more sporty look whereas others are purely built for rock crawling. Plus, with a nice range of powertrains to choose from and high-end options, there’s something for everyone. Right off the bat, the Jeep Cherokee has three engine options to choose from, most of which are available on the majority of trims. A 2.4-liter I4 MultiAir engine is the standard engine for all but the Cherokee Overland 4×4. This engine generates 184-horsepower and 171 lb-ft of torque. It has a fuel economy of 31 mpg on the highway, and up to 489 miles of travel on a full tank of gas. Other engine possibilities are the 2.4-liter I4 PZEV M-Air engine, powered by a 600-amp battery for those looking for a cleaner drive. If more power is desired, there’s the 271-hp 3.2-liter Pentastar V6 engine available on all trims, and it is standard on the Cherokee Overland 4×4. The 3.2L engine has VVT technology with electronic Stop-Start to improve performance and fuel economy, getting about 27 mpg on the highway. The 2017 Jeep Cherokee comes with three advanced 4×4 systems for off-road mayhem. The main system is the available Jeep Active Drive II 4×4, with low-range that’s great for crawling over rocks, or flat-towing behind an RV. There’s also Jeep Active Drive I 4×4, locked into a single-speed, and featuring brake traction control for drivers who want an easy-to-use all-weather capable vehicle. For more extreme off-road ruggedness, the third system belongs solely to the Jeep Cherokee Trailhawk. This model features the Trail Rated Jeep Active Drive Lock 4×4 system and offers ultimate performance. It has skid plates, a 1-inch suspension lift, all-season tires for any kind of weather, front and rear red tow hooks, and 20-inch water fording capability. The Jeep Cherokee is known for its dynamic quality and styling, featuring world-class craftsmanship for an aerodynamic exterior. A large rear spoiler has also been added, along with a curvy rear tailgate. If switching out the engine for the V6, dual bright exhaust tips will also be added to the vehicle. Automatic headlamps are available on some trims, whereas LED daytime running headlamps and LED tail lamps are standard on all of them. On select models, silver-painted roof rails, heated exterior mirrors, and red tow hooks are available. For convenient cargo and equipment management, a Jeep Cargo Management System with utility hooks and bag kit is standard on all trims. 17-inch wheels are the standard for the Sport, but nearly every trim has its own standard, with up to 18-inch polished rims available. Inside the Cherokee is a spacious cabin for five passengers. Depending on the trim, cloth, leather, or vinyl trimming will be available. Front seat active headrests are standard on all trims, as well as a rear 60/40 folding split recline seat, and a front-passenger fold-flat seat (excluding base trim, Sport for the latter). Available throughout the trims are rear seat heat ducts, heated front seats, and ventilated front seats strictly on the Overland model. For convenience, automatic a/c dual-zone control is available, and a 3.5-inch cluster displaying vehicle performance, speed, RPM, and fuel levels is available in either black and white or color. An electronic vehicle information center comes standard for all trims. A great available option on most trims in the lineup is the CommandView Dual-Pane Panoramic sunroof, a breath of fresh air. Standard on many of the trims is a 6-speaker audio system and a 5-inch touchscreen display, with the option of upgrading to a 9-amplified speaker with subwoofer system available on select trims. All trims after the 75th Anniversary Edition trim have the option of integrating GPS navigation into their console, and come standard with an 8.4-inch touchscreen display. The two standard systems are Uconnect (varying versions across trims) and integrated voice command with Bluetooth. Many safety features come standard on all Jeep Cherokee trims, including advanced multistage front airbags, supplemental airbags in the front, rear, and sides, an enhanced accident response system, LATCH ready child seat anchors, and keyless entry with panic alarm. Throughout the lineup, blind spot and cross path detection, forward collision warning with active braking, keyless enter-n-go passive entry, and ParkSense systems are made available.